MARKETPLACE: This will be the FIRST GOAL of our team! We will build a VR marketplace for Steem Monsters that is separate from the SM.com site! And the cards will be purchasable with Dlux coin only! This will be a GREAT proof in concept for SMTs. The Marketplace will be a 3D/VR environment hosted on Dlux.io. It will be accessible by I phone, P.C or VR helmet. EXCHANGE We can hook Sm cards to dlux coins through the steem state engine OR the dlux node. BATTLE ARENA:: One of the most exciting aspects of a VR SM system will be the arena. We could build something that people can actually walk around in and text/voice chat about the tournaments for the day but ALSO people could view tournaments in real time. 1 V 1 BATTLES: will be possible through a copy of the Battle arena. People can battle monsters in real time on their P.C OR with a VR helmet fully immersed! Betting on battles with single cards instead of booster packs will be available ! Or simply practice new teams in 3D with your friends! TOURNAMENTS will be hosted in this new battle arena! If the architecture and programming are nice enough yaba might want to host the official tournaments on dlux! That is the goal but hosting separate tournaments for Dlux coins will be equally amazing. People will want to battle in 3D. And we will have the nicest Arena to play in. So we have the possibility to host RANKED and NON-RANKED battles. It's like a beautiful movie theater we can show any movie in. I have heard many people talk about wanting to battle and bet single cards on the outcome. This new space will be perfect for that. Track Our Progress As We Build This New Market! Stay Tuned We Will Launch Soon! 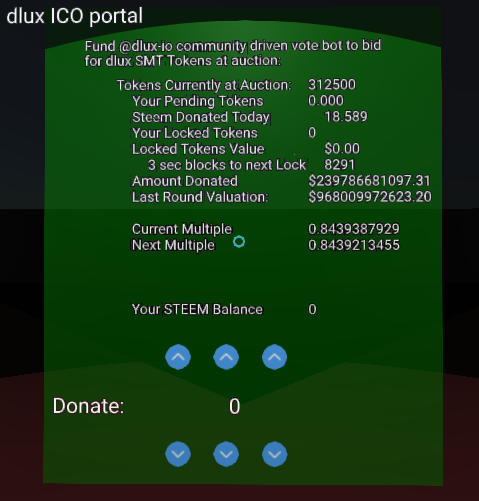 HOW TO GET STARTED: If you wish to begin by buying Dlux coins; you can simply visit http://dlux.io/ico OR send steem to robotolux to bid on dlux coins! 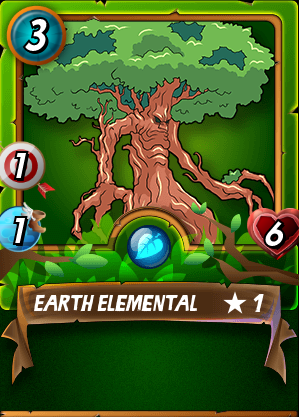 You can also simply pick a few cards to sell when when we launch. Selling SM cards will be a WONDERFUL way to jump into the VR front end for steemit http://dlux.io/VR. You can just sell a few cards and BOOM! You are trading on our market. Special thanks to @disregardfiat @markegiles and @shredz7. We have been having a TON of fun on the discord server for dlux located at - - > https://discord.gg/bMeGKfQ. We would like to invite ALL developers, programmers and SteemMonster players. DISCLAIMER: This post is conceptual. If any of these ideas turn out to be illegal,against steem monster copyright, or upset @yabapmatt in any way; they will not be actualized. Hey are you still reading this? - -> Come program with us already! - - > https://discord.gg/bMeGKfQ. Ok, this seems really cool! I'm a little confused by the ICO part though and would love some more information. First, the amount donated is over $239 billion? Is that USD or something else?? Second, I wanted to get in on the ICO but the donate part was my full steem amount and it's incredibly tedious to adjust it because you can't just click the arrows you have to "look" at it and then "look" away over and over again. I was gonna just transfer straight to the account through steemit but the transaction history didn't show anyone else sending so I thought maybe it is being routed to another account? Looking forward to more information about this project and dlux in general, which I'm still trying to wrap my head around but it seems like a really cool project. Ah thanks! Is there any delegation reward aspect to the ICO or direct purchase only? Good to know! I like delegation so I think I will delegate some. What's the reward structure like? Sorry if this is in a FAQ somewhere but the layout of the main site is confusing for me, but I'm on mobile so maybe that's why. That's okay. You can always chat with us in the discord! :) Rewards are based on auctions. So I cant say how much you will get per steem.